"I will use treatment to help the sick according to my ability and judgment, but I will never use it to injure or wrong them." Doctors have no right to touch anybody, no matter how sick or how perilously close to death, without that person's consent. "Without a consent, either written or oral, no surgery may be performed. This is not a mere formality; it is an important individual right to have control over one's own body, even where medical treatment is involved. It is the patient, not the doctor, who decides whether surgery will be performed, where it will be done, when it will be done and by whom it will be done." Medical emergencies and unconscious persons are exceptions to this principle but the situation must be life-threatening and the opportunity more than just "convenient." For example, in one case a doctor tied a patient's Fallopian tubes during a Cesarean operation without the patient's permission, even though it was convenient to then do so. The doctor was held to be liable; medical malpractice. Some provinces even have statutes that state that no surgery may be performed on a person without written consent. Without the written consent, the onus is then on the doctor to show that there was an emergency situation. Although a general consent will cover all that is necessary for the completion of the medical procedure, such as the use of anaesthetic, a patient has every right to restrict or condition the consent. 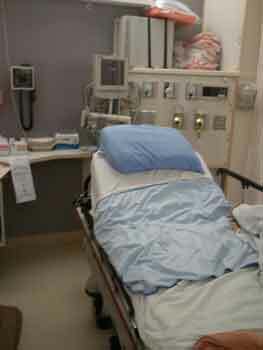 Consent can be withdrawn during a procedure. If circumstances change midway through the procedure, a doctor may be obliged to inform the patient of any new risks (Ciarlariello v. Schacter, S.C.R. 1993). Any medical procedure done without consent and outside of an emergency situation could constitute battery and engage liability under this branch of tort law. On the other hand, doctors are not expected to explain all the technical details of the procedure to their patient or to review all the possible things that could go wrong unless, of course, the patient happens to be overly curious, in which case, the doctor must respond. Nor do doctors have to state the obvious such as that an appendicitis may result in some pain and a scar. Detailed explanation might be reasonably withheld from a patient who is "emotionally" susceptible. A landmark Canadian decision, Reibl v. Hughes has determined that the standard for disclosure is not the reasonable "medical" standard, but "would the reasonable patient in the patient's position, knowing of the risks, have consented to the treatment." The disclosure of risks depends on the severity of the risk. In a nutshell, improbable risks should be disclosed if their result would be serious; probable risks should always be disclosed. Advice to doctors: if in doubt, disclose! A 1989 New Brunswick case (Kitchen v. McMullen) has put forward the idea that courts should, in this order, (1) decide if the risk was one which should have been disclosed and, if so, (2) ask themselves if a reasonable person would have consented to the treatment. Unless a doctor has guaranteed it in writing, doctors are not to be held to a cure or remedy. Doctors are "bound to exercise that degree of care and skill which could reasonably be expected of a normal, prudent practitioner of the same experience and standing," (Crits v. Sylvester). The test is objective and will be elevated, as the case may be, to each and every specialty. Therefore, a brain surgeon will be expected to act as would a normally prudent brain surgeon. "An error of judgment may, or may not, be negligent; it depends on the nature of the error. If it is one that would not have been made by a reasonably competent professional professing to have the standard and type of skill that the defendant held himself out as having, and acting with ordinary care, then it is negligent. If, on the other hand, it is an error that a man, acting with ordinary care, might have made, then it is not negligent." The ability of doctors in rural areas may be affected by a lack of resources compared with medical facilities in urban areas. This factor may alleviate the liability of rural doctors if, otherwise, the standard of their care is not found to be wanting. Similarly, a doctor who relies on other personnel supplied by a hospital to assist in a medical procedure, would not be held liable for errors by these personnel in the general care of the patient, where the doctor's conduct was not negligent. But doctors should know their limitations and could be negligent if failing to enlist the advice of a specialist.